There are some great questions in this book that I have my kiddos working on by using the ipads. They are creating posters that we will hang up to share what we learned. We are also cookie archaeologists. 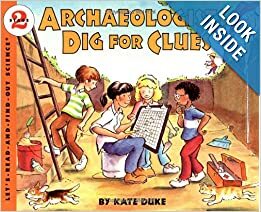 We dug out chocolate chips and compared them to dig sites such as Hot Springs or Jamestown...which I have been to and could share pictures of. Here are my kiddos working on their dig site. Check out Cookie Archaeology for the unit I used with my kids. As we shifted into primary sources compared to archaeology we can compare historians using primary sources to tell us about the past, just like artifacts at a dig site. Here are two great sites to use for your students right before Thanksgiving.